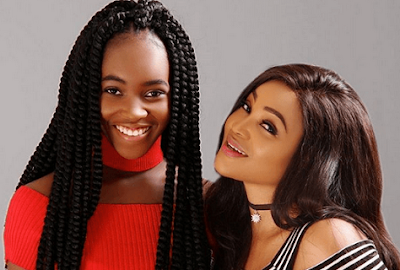 Today is Mercy Aigbe’s daughter’s birthday. The one she had with her first husband before marrying Lanre Gentry, her 2nd. Lanre however won’t let the battle between him and Mercy spoil Michelle’s special day. 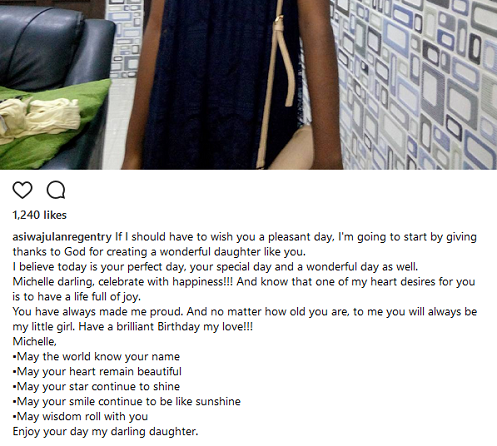 He took to IG to send her a special birthday message, making her understand she will remain his daughter forever. Michelle still bears his name- Gentry. What he wrote after the cut. If I should have to wish you a pleasant day, I'm going to start by giving thanks to God for creating a wonderful daughter like you. I believe today is your perfect day, your special day and a wonderful day as well. Michelle darling, celebrate with happiness!!! And know that one of my heart desires for you is to have a life full of joy. You have always made me proud. And no matter how old you are, to me you will always be my little girl. Have a brilliant Birthday my love!!! Enjoy your day my darling daughter.